It's another 35% Instant Cashback Weekend at Intertops Poker and Juicy StakesCasino March 23-25. That means that if you bust your deposit playing any of their slots from Worldmatch, you can get 35% of that deposit refunded! 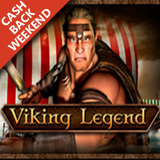 They'll give you 35% Instant Cashback if you don't win playing ANY of their real-money slots from Worldmatch, but there are three HD games that you really should try: the mythical Viking Legend, the classic fruitie Fruits Evolution and Banana King, where fun-loving chimps rule the forest. If you make a deposit, play Worldmatch slots March 23-25, and don’t win anything, ask for 35% of your last deposit back. Live chat is the easiest and quickest way to request Cashback but refunds can also be requested by e-mail or telephone. Cashback must be requested by Wednesday and will be instantly credited to your account. Play-through on this bonus refund is just 10X. There is no max cashout. Intertops Poker and Juicy Stakes have very active online poker rooms with players from all over the world. 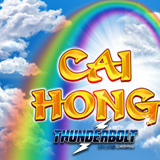 They both have a big selection of slots and other casino games from Worldmatch, Betsoft and Lucktap as well. There are over 130 games under the Worldmatch tab alone.